One of the most stressful things about owning a home is uncovering potentially hazardous materials in your home. Asbestos ranks high on the list of dangerous substances because of its toxic and carcinogenic properties when airborne. While older homes will likely contain asbestos in roofing, insulation, and tiles, it can also be present in exterior siding. If you suspect that your siding may contain asbestos, there is no need for alarm. This article will help you determine whether there is asbestos in your siding and give you a few suggestions for dealing with it. Most homes built after the 1980s no longer use siding that contains asbestos because of its obvious health risks. However, fixer-uppers and older homes with their original siding may still contain this dangerous material. Although homes built after the 1980s are generally safe, some newer builds may also have asbestos lurking in the siding. If you aren’t sure about the exact composition of your siding, you should check to make sure. Just to make things more complicated, asbestos siding doesn’t always look the same. As the experts at Asbestos Siding note, it is sometimes difficult to spot because it was often manufactured to resemble different types of siding in a variety of colors and textures. Older style cement siding shingles were traditionally made by mixing asbestos into the cement in order to fireproof and strengthen siding. The only way to be sure whether your siding contains asbestos is to have it tested. The Asbestos Network recommends bringing in a professional to collect samples. They then send the samples to a qualified laboratory to test and determine whether they contain asbestos. 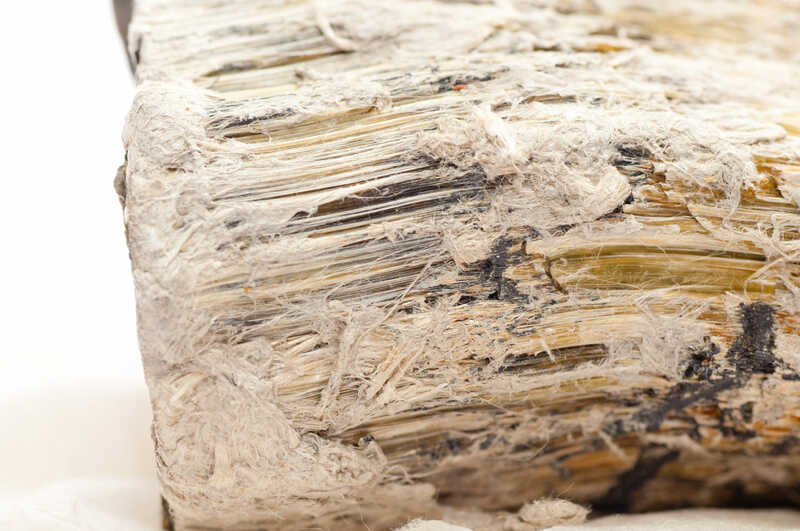 Because exposure to asbestos occurs when the fibers become airborne, these professionals will know how to keep your home safe during the testing process. If you find that you do in fact have asbestos in your exterior siding, there are several things you can do to make your home safe. The first option is to do nothing: if your siding is in good condition and intact, the asbestos poses a relatively low health risk to your home and the environment. Some homeowners opt to cover their asbestos-containing siding with vinyl siding sheets or other materials in order to minimize risk instead of leaving their siding untouched. However, this option can become problematic for several reasons. First, siding is a particularly tricky material, since you will need to cover large portions of your home’s exterior, and the result may look awkward and less visually appealing. In addition to the visual aesthetics of multiple layers of siding, the second potential issue with covering your siding is that it does nothing to solve the problem. Although the Environmental Protection Agency (EPA) states that asbestos is only a health issue if your siding is damaged or fraying, simply covering it means that the asbestos will still be there and could pose a health risk later if parts begin to break off and become airborne. The only way to eliminate the risk of air contamination from asbestos is through careful and complete removal. However, we want to stress that this kind of job must be carried out by a professional. If you don’t know who to call, you can connect with your local health department, the Better Business Bureau, and the EPA for more information and advice. These organizations will be able to point you in the direction of trained professionals who will be able to make your siding asbestos-free. As with all home improvement projects, there are several health and safety precautions that you will need to take here. During the removal of asbestos-containing siding, your professional will use safety masks and gloves, as well as a HEPA filtered vacuum to eliminate airborne toxins. After completing the job, make sure that your inspector tests the air in order to determine whether there is any residual asbestos around. As always, keep children and pets away from the work site and take the same precautions if you plan to be in the area during removal.